Please consider making a gift NOW (by Saturday night, December 31) to KlezCalifornia, your last chance to qualify for a 2016 tax deduction. We rely on support from people like you who come to events, enjoy the newsletter, or are simply happy to know that KlezCalifornia is around. With your help, we can do even more, and every donation makes a difference. It's easy. Donate with a credit card or mail a check payable to KlezCalifornia to 1728 Allston Way, Berkeley CA 94703. Your contribution is tax-deductible. Our first gift to you is photographs from the November 20 Cabaret by the Bay with Osher Marin JCC, and December 4 Yiddish Culture Festival with JCC East Bay. Many wonderful images (including of you?) by Lea Delson, delsonphoto.com, available for your (free) enjoyment and perhaps your purchase. 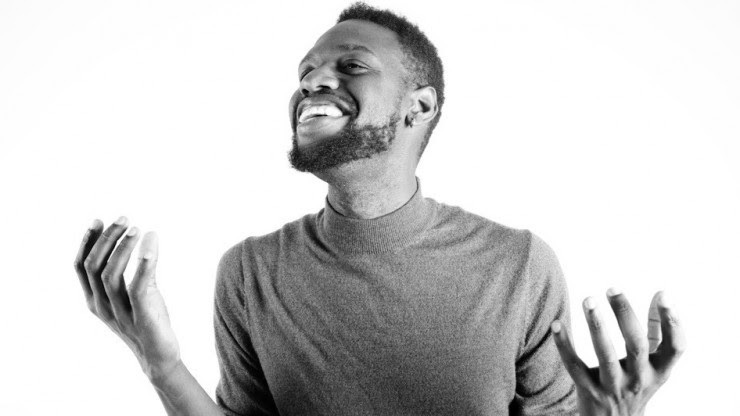 Our second gift to you is a new music video by the Bay Area's own Anthony Russell singing O, Ir Kleyneh Likhtelekh over images from the early twentieth century. The poem, composed in Yiddish by sweatshop poet Morris Rosenfeld (1862-1923) was inspired by the holiday of Khanikeh/Hanukkah. And check out Yiddish classes beginning in January and February, in a special section below! Sunday, January 15, 2:00-4:00pm, KlezCalifornia Flisik Yiddish Salon. For fluent Yiddish speakers. Yeder eyner vet undz helfn lernen epes nayes. We are asking that each participant come prepared to express their thoughts and offer some new vocabulary that will provide learning experiences for us all. Thursday, January 19, 7:00pm, The Yellow Ticket (1918 silent film; 63 mins. ), with original score by Alicia Svigals. Performed by Alicia Svigals, Marilyn Lerner, Laura DeLuca. A young Jewish woman (silent film superstar Pola Negri) living in a Polish shtetl fights the odds while trying to fulfill her ambition to study medicine in Russia but is coerced into prostitution to pay the rent. Shot on location in the former Jewish quarter of Warsaw at the end of World War I and on the eve of the Russian Revolution, this silent film rarity addresses ethnic and religious discrimination, human trafficking and poverty in remarkably progressive terms. Followed by a talkback with Svigals and others. KlezCalifornia is a community partner. Tickets: standard $28 / Use code FIDDLE25 for 25% discount. More info: 415.292.1200, Yellow Ticket at JCCSF. Also: Wednesday, January 18, 7:30pm, same program day earlier. More info: 650.724.6874, Yellow Ticket at Stanford. Directions and parking info. Thursday, January 19, 7:00pm, Comedienne in a Hasid's Pants: Pepi Litman, presented by Jeanette Lewicki, with Laura Rosenberg and Josh Laurenzi. 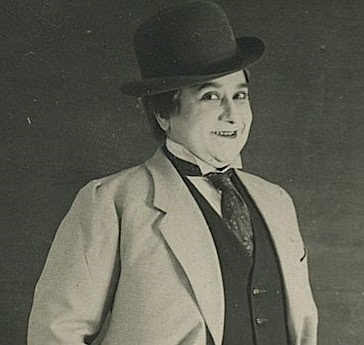 From 1890-1930, Pepi Litman (born Peshe Kahan) criss-crossed Eastern Europe cross-dressed as a male Hasid, belting provocative songs in a husky contralto. In an era when nice Jewish girls didn't sing in mixed company, and women couldn't wear pants or vote, Litman led her own vaudeville troupe everywhere from Budapest to Brooklyn. She moved in literary circles, joined the Broderzinger (itinerant singer) movement to enlighten poor folks through Yiddish comedy, sold out Gimpel's Lemberg Yiddish Theater, was banned by the Soviet Union, and died penniless in Vienna. Jeanette Lewicki has been obsessed with Litman's songs for twenty years and has now mustered seven full or partial translations of Litman songs. She'll premiere them at this presentation, joined by singer and concertina player Laura Rosenberg, and fiddler Josh Laurenzi. Co-presented by KlezCalifornia. No charge. More info: 415.567.3327, Lewicki on LIttman. Sunday, January 29,Yiddish In A Day: Giving Voice To Story, Wisdom & Humor. Co-sponsored by KlezCalifornia. Part of UNDER ONE TENT cultural series. 2:00pm, Storytellers Sally Holzman and Terry Stokes will delve into the vibrant world of Yiddish culture by sharing the stories of Isaac Bashevis Singer, the "Elders of Chelm," and honored rabbis. Tickets: $10 for storytelling; $18 for both storytelling and concert; Students 18 and under are free. More info: Yiddish in a Day. Mondays, January 9 - March 20 (no class MLK day), 7:00-9:00pm, Yiddish Reading Group, with Yankl Levitow. Ongoing Yiddish literature reading group, led by Yankl Levitow, Yiddish instructor at Stanford and UC Santa Cruz. Ten two hour sessions. Fluency by no means required -- but some ability to read Yiddish is a prerequisite. Tuition: $250. More info: 650.813.9094, jnlvtw[at]comcast.net, bayyiddish.net. Wednesdays, January 18 - March 22, 7:15-9:15pm, Introduction to Yiddish, with Yankl Levitow. Presented by Lehrhaus Judaica. Tuition: $225 plus the course textbook (about $25). More info: 408.358.1751, Levitow at Shir Hadash. Mondays, January 23 - April 3, 7:00-8:30pm, Beginning Yiddish From Scratch, taught by Ken Blady. Presented by Lehrhaus Judaica. Co-sponsored by KlezCalifornia. Tuition: 10 sessions, $175 public, $160 Lehrhaus Judaica members. More info: 510.845.6420, Blady at JCC East Bay. Mondays, January 23 - May 15, 7:15-9:15pm, Reading Yiddish Texts, with Yael Chaver. Students should have completed at least a year of college-level Yiddish language or the equivalent. Co-sponsored by KlezCalifornia. Tuition: $240 public / $225 Lehrhaus Judaica members. More info: 510.845.6420, Chaver at JCC East Bay. Thursdays, February 2 - April 6, 12:00noon - 1:30pm, Beginning Yiddish From Scratch, taught by Ken Blady. Presented by Lehrhaus Judaica. Tuition: $160 public, $145 Lehrhaus Judaica members. More info: 510.845.6420, Blady at Kol Shofar. Tuesdays & Thursdays, January 10 - March 23, 3:20-4:55pm, First-Year Yiddish, with Yankl Levitow. Class # 42030. More info: ynkl[at]bayyiddish.net. Likely Mondays and Wednesdays, 11:30am-1:20pm, Second and Third Year Yiddish, with Yankl Levitow. More info: ynkl[at]bayyiddish.net. Tuesday evenings, 7:00-9:00pm, Intermediate Yiddish, with Yankl Levitow. The suggested "Rebeh-gelt" (tuition): $250, but no one will be turned away for lack of funds. More info: 831.457.0264, ynkl[at]bayyiddish.net. 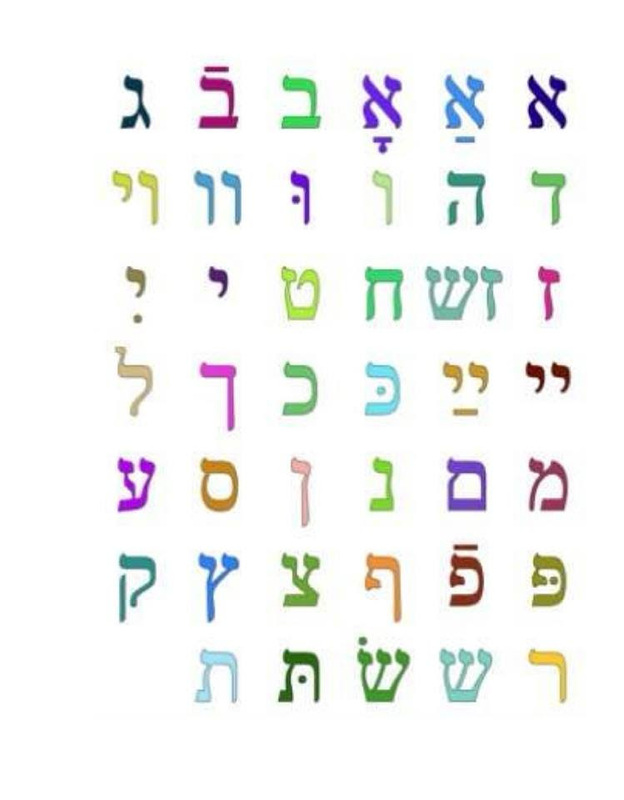 Two alternate Friday afternoons each month, 3:00-5:00pm, Beginning Yiddish, with Rochelle Goldman. Speaking, reading, writing, and grammar. Choose one of two textbooks: Marvin Zuckerman's "Learning Yiddish in Easy Stages" or Sheva Zucker's "Yiddish: An Introduction to the Language, Literature & Culture" for those who have been in the class previously. Presented by The Workmen's Circle/Arbeter Ring and KlezCalifornia. No charge, but reservation required. More info: 650.577.1531, roshnman[at]yahoo.com. You might also be interested in the monthly Yidish Tish led by Reb Irwin Keller at Congregation Ner Shalom (Cotati) or Yiddish clubs at the JCC East Bay (Berkeley), Oshman Family JCC (Palo Alto), and Peninsula JCC (Foster City) all described in the KlezCalifornia Geleh Pages. Read a newly translated short story, "The Institute for Facial Reform," by Getsl (George) Selikovich. This early twentieth-century satire of American life dares to imagine a world in which people change their faces - their noses, their chins - in order to match the latest fashion. In other words, it's an unlikely prophecy of plastic surgery (thanks to Yiddish Book Center). How Klezmer Music Refutes Richard Wagner's Myth of Racial Purity, an interview by Nathan Smith of Jessica Gould, Artistic Director and founder of Salon/Sanctuary Concerts, a concert series that presents "early music in intimate venues which complement both the acoustic and the historical context of the repertoire" in order to "encourage understanding among people of different faiths." Thirteen Ways of Looking at Sholem Aleichem: Notes from a Yiddish Writer's Biographer, a presentation by Jeremy Dauber at the YIVO Institute for Jewish Research. Now you can watch most presentations at YIVO in New York on the web! Newly released CD "Gerry Tenney & California Klezmer," represents over thirty years of klezmer, Yiddish, and Jewish music by one of the Bay Area's pioneers in the field. Many original and traditional songs and tunes, some never before recorded. Newly re-issued: "Lomir Zingen A Yiddish Lid," (Let's Sing A Yiddish Song), with Gerry Tenney and Betty Albert Schreck, and "The Music Man's In Town" (in English). $15.00 for first CD, all subsequent ones $10.00. To order, gtenney[at]earthlink.net, www.paypal.me/GTenney. (A zisn toyt zolst di hubn -- a truk mit tziker zol dikh iberfurn) (from Ken Blady's workshop at the Yiddish Culture Festival, and in his dialect). The Jewish Folk Chorus of San Francisco is looking for new singers beginning in January for their 91st season. They sing mostly in Yiddish and also in Hebrew, Ladino and Russian. All levels welcome. More info: 510.533.3903, Jewish Folk Chorus. Rehearsals at Menorah Park, SAN FRANCISCO. Wednesday, January 4, 6:30-8:30pm, Klezmer Creek. Part of (usually) 4th Wednesday Klezmer Wednesdays Night. Free with minimum $5 purchase. 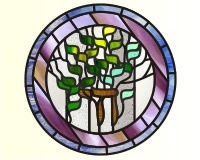 More info: 707.544.2491, klezmercreek.com, gaiasgardenonline.com. Sunday, January 8, 9:00-11:00am, Explore stories by Y.L. Peretz. On Sunday, March 19, Explore stories by I.B. Singer. Part of five-session seminar exploring works by American, European and Israeli Jewish writers that illuminate the human condition. Suggested donation for all 5 sessions: $36 (includes bagels, cream cheese, juice, and coffee). More info: 650.493.4661, Beth Am Jewish Lit Class. Wednesday, January 11, 7:00-9:00pm, Mama Loshn. Klezmer and Yiddish songs, including protest songs. No cover charge. More info: 510.849.1100, Le Bateau Ivre. Sunday, January 15, 2:00-4:00pm, KlezCalifornia Flisik Yidish Salon. For fluent Yiddish speakers. See separate box above. No charge. More info: 415.789.7679, flisik[at]klezcalifornia.org. Monday, January 16, 6:00-8:00pm, Orchestra Euphonos. Entertainment free with minimum $10 purchase. More info: 510.848.3354, Klezmer Mondays at Saul's. Tuesday January 17, 7:30 (doors 7:00pm), Klezmer Instrumental Workshop with Alicia Svigals. Open to all instruments, advanced beginning and up, but especially for strings. No prior knowledge of klezmer necessary. Tickets: $40 donation. Space limited; advance payment required. Reservations: houseconcert[at]att.net. Wednesday, January 18, 7:30pm, The Yellow Ticket (silent film), with Alicia Svigals, Marilyn Lerner, Laura DeLuca, live musical accompaniment. See separate box above. Loretta Denner. Read stories by I.L. Peretz in honor of his hundredth yortsayt. No charge, but JCC accepts donations. More info: 707.528.4222, lorluba[at]yahoo.com. Thursday, January 19, 7:00pm, The Yellow Ticket (silent film), with Alicia Svigals, Marilyn Lerner, Laura DeLuca, live musical accompaniment. See separate box above. Thursday, January 19, 7:00pm, Comedienne in a Hasid's Pants: Pepi Littman, presented by Jeanette Lewicki, with Laura Rosenberg and Josh Laurenzi. See separate box above. Sunday, January 29, Yiddish In A Day: Giving Voice To Story, Wisdom & Humor. See separate box above. Tuesday, January 31, 7:00-9:00pm, Coming to America, a musical journey exploring Jewish immigration to America. With Noah Aronson, Marsha Attie, Josh Breitzer, Gideon Herscher, Arik Luck, rollin Simmons, Lizzy Weiss, and featuring Roz Barak. Includes original compositions, folk, Broadway, Yiddish theatre, and other genres.Tickets: $22 general / $72 premium seating, project support ($50 tax-deductible). More info: 415.751.253, Koleinu series at Emanu-El. Preeva Tramiel: In memory of Chaya Adler. Dina and Yosef Shandling: In memory of Avrohom Chaim Feldman from his Bubby and Zaidy Shandling. Thursday, February 9, Shanghai Angel: Creating a Show about My Immigrant Grandmother, with Heather Klein and Joshua Horowitz. Co-presented by KlezCalifornia. No charge. More info: 415.655.7800, Creating Shanghai Angel. Thursday, February 16, The Milkhik State: The Surprising Jewish History of Wisconsin, presented by Andy Muchin. A bisl (a little) Yiddish culture included. No charge. More info: 415.567.3327, Muchin at Jewish Community LIbrary. Sunday, February 19, 2:00-4:00pm, KlezCalifornia Flisik Yiddish Salon. For fluent Yiddish speakers. No charge. More info: 415.789.7679, flisik[at]klezcalifornia.org. Saturday, February 25, 9:00am-6:00pm, From the Bund to the Bern: Yiddish Socialism for the 21st Century. The year 2017 marks the 120th anniversary of the founding of both the Jewish Bund and the Zionist movement, and the centennial of the Russian Revolution. Speakers include Tony Michels, Barbara Epstein, Marvin Zuckerman, and Hershl Hartman. Mama Loshn doing workshop + performance. Presented by the Workmen's Circle/Arbeter Ring of Northern California. Tickets: $10 advance / $12 door. Advance reservations requested. Reservations and more info: lonepine44[at]gmail.com. Donors of $54 (3 chai) or more may choose one of four "thank you" gifts: * "Live & Be Well, A Celebration of Yiddish Culture in America," by Richard F. Shepard and Vicki Gold Levi (192 pp.) * "The Oy Way," a 115-page book by Harvey Gotliffe, which helps you learn Yiddish expressions while engaging in meditative exercise. See theoyway.com. 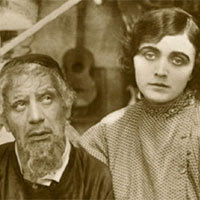 * DVD of the wonderful 80-minute "Yiddish Theater: A Love Story" (newlovefilms.com). * Eight beautiful, brightly-colored, 5"x7" music-themed greeting cards designed by Sonoma County artist Nina Bonos (see HERE). Your donations help KlezCalifornia keep Bay Area Yiddish culture and community vibrant and thriving. Plus, you'll be invited to two special KlezCalifornia parties each year. Make your tax-deductible donation via credit card HERE or with a check to KlezCalifornia at 1728 Allston Way, Berkeley 94703. A sheynem dank! Thank you very much!